The Concept Cartoons in this PDF resource explore many aspects of sand dune ecology. Many of the Concept Cartoons relate to science, but they also connect to other areas of the curriculum including geography. Each Concept Cartoon can be used to stimulate a free standing discussion and enquiry. Alternatively, the Concept Cartoons can be linked together to form a larger topic or to create a project related to sand dune ecology and the coastal environment. The process of dune formation is well understood and extensively documented. The sand dune environment is much less complex than many other environments and this makes it easier to see how ecological concepts apply. Concept Cartoons are designed to encourage learners to think and talk about concepts. 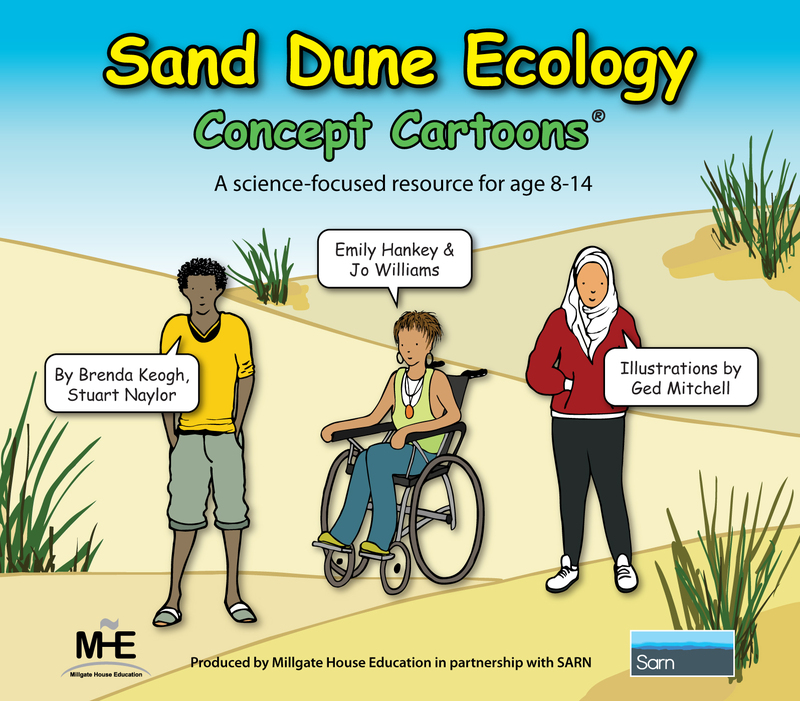 Each Sand Dune Ecology Concept Cartoon includes background notes on the geography and science behind the characters ideas. there are also suggestions to encourage learners to carry out investigations independently or as a group.